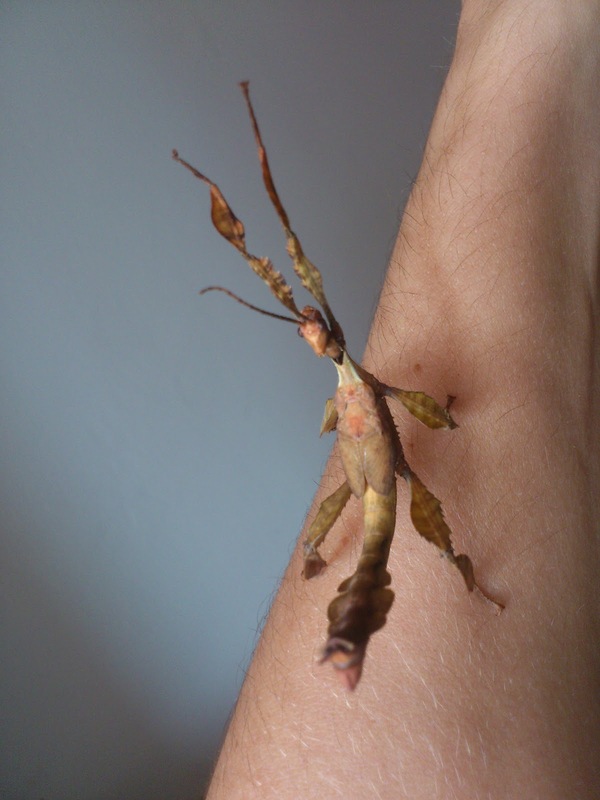 I'm not sure I mentioned it but we happen to keep about thirty phasmids of the Extatosoma tiaratum species. All of them are the posthumous offspring of a single mother - she died a year and something ago and the first ones hatched a half year ago. Since the eggs weren't fertilized, all of them were supposed to be females, but nature has its ways ... When a phasmid individual has two sexual (X) chromosomes, it becomes a female. If it has only one it becomes a male. In this rare case something went wrong during the mitosis, the X chromosome didn't duplicate and the boy was born. Since then it grew a pair of wings and the antennae are even longer. Also he's mating with his sisters (ugh!) every now and then.